Mastaba no. 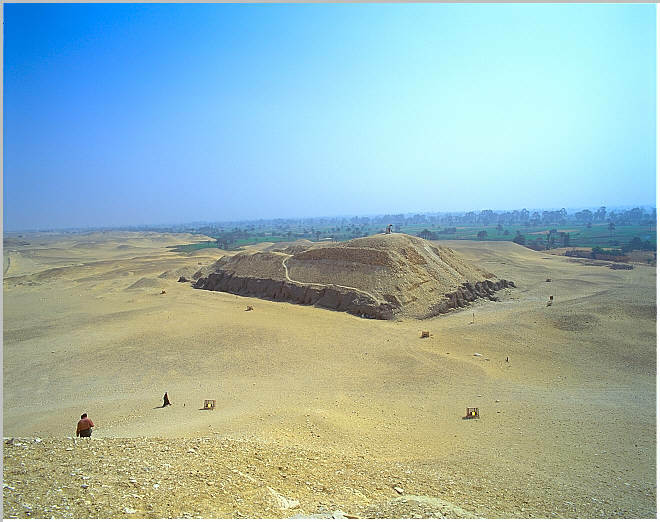 17, in unfired brick, is located a few dozen meters to the northeast of the pyramid. It's owner has so far not been identified, but most likely a prince. It was first explored in 1917 by Petrie. It can be entered and a large stone sarcophagus awaits those who want to crawl through the narrow robbers whole. 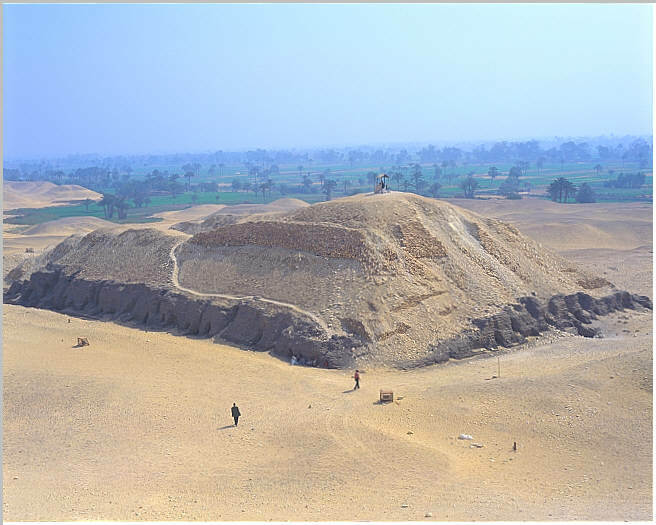 A general view of the imposing mastaba no. 17. Some of the unfired mudbrick can still be seen on it's exterior. 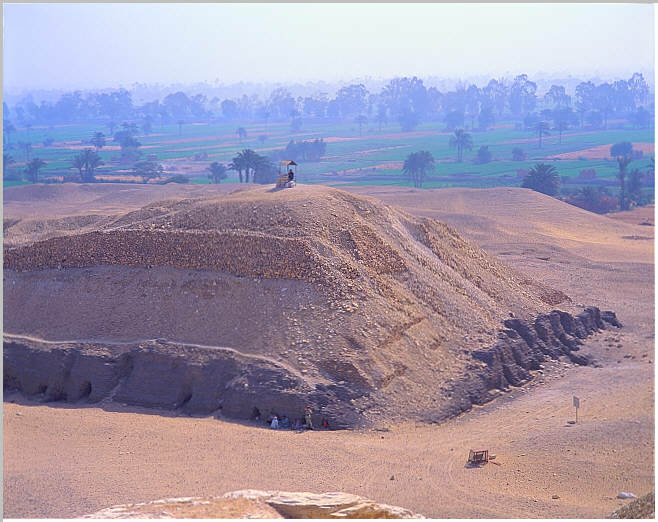 A closer in view of mastaba no. 17. A guard hut is located on its top. A detail view of mastaba no. 17. Some of inner core stones are visible near the top.